Work with HDR Raw images directly in Lightroom, or send them to Photoshop for even more creative effects. Lightroom Classic CC includes a powerful Merge to HDR feature. Now, you don’t need to send images to Photoshop or an external editor if you want to create clean, “natural” HDR tone-maps. I’m very pleased with the results I’m getting on my own HDR images using Lightroom CC. 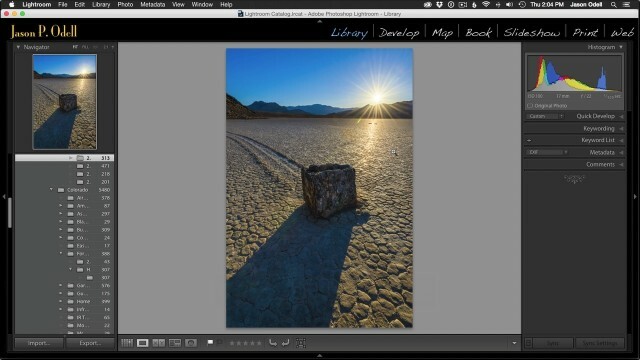 In this instructional video workshop, I’ll take you through all the steps you need to understand how to process HDR images from your RAW files in Lightroom CC. Yes, a another GREAT tutorial from Jason. He is always very clear, and it is really easy to understand the subject. Thanks a lot for your great tutorials. You are a very good teacher…. Thank you, Philippe! I’m glad you enjoyed the tutorial and found it helpful. Best wishes to you from Colorado!